Here at Great Little Garden we want to make designing and maintaining your garden as easy as possible. We have found the best garden inspiration around so you don't have to! We will be gathering all of our favourite garden inspiration and storing it all together on our Pinterest boards. We have a vast array of boards filled with garden DIY's, chidren's gardening ideas, gardening advice through to all the current trends and how to bring them into your garden. Gardens range from all shapes and sizes but we want to make it as easy as possible for you to create your dream garden and make it work for you. 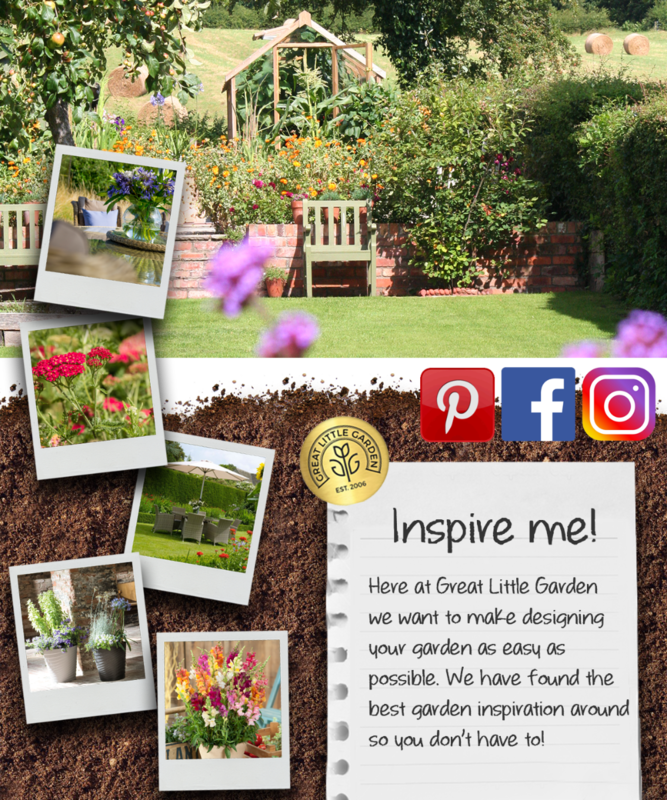 Instagram is the social media platform dedicated to sharing photos and we vow to share the best garden inspiration with you along with our great range of products and helpful tips and guides. Keep up to date with our latest projects and competitions via Instagram and share with us your Great little garden!